Explosions sent ash up to 10 km a.s.l. Eruptive cloud had dividing on two plumes - its upper part drift to the north-east from the volcano, and its lower part - to the west-southwest from the volcano. 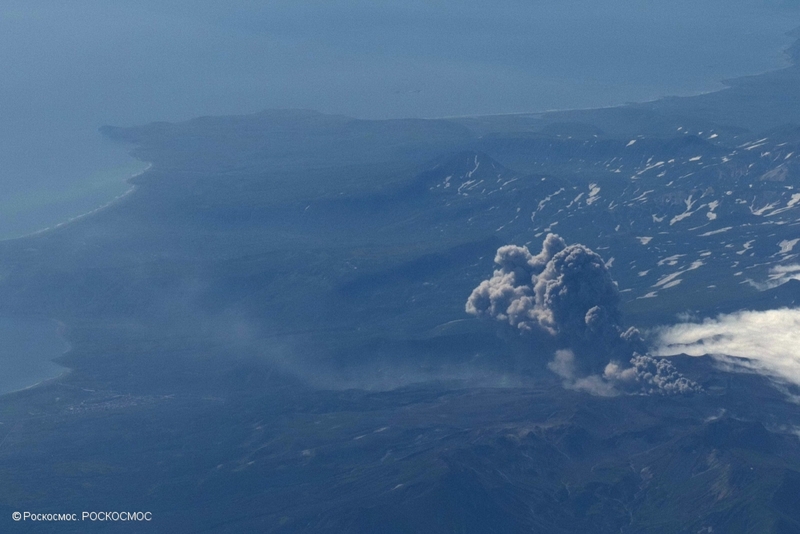 Explosive eruption of Ebeko volcano at 23:22 GMT on August 21, 2018. 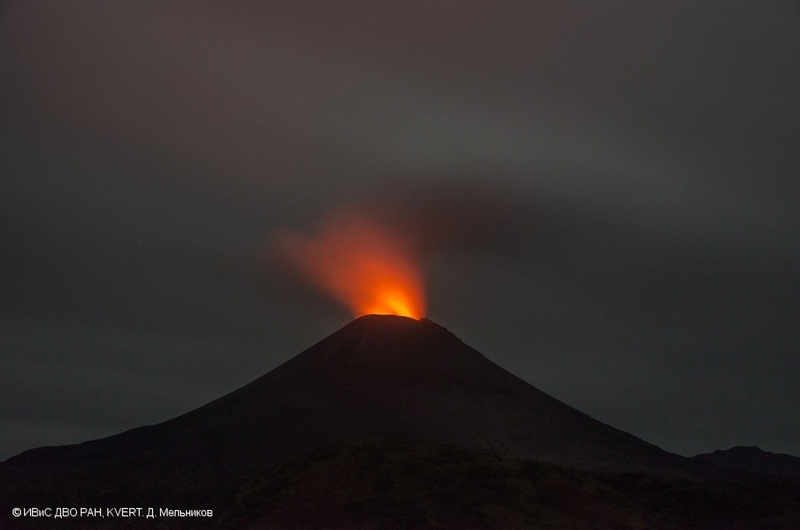 Fumarole activity of Karymsky volcano on 12 September, 2018. (11) Volcanic Activity Summary: An eruptive activity of the volcano continues. 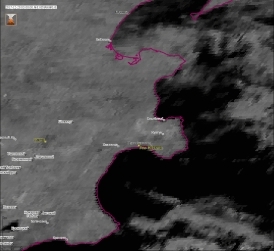 Video data show an ash plume up to 5.5 km a.s.l. extending to the east from the volcano. Explosive-extrusive eruption of the volcano continues. Ash explosions up to 26,200-49,200 ft (8-15 km) a.s.l. could occur at any time. Ongoing activity could affect international and low-flying aircraft. (16) Next Notice: A new VONA will be issued if conditions change significantly or the colour code is changed. VONAs are posted at http://www.kscnet.ru/ivs/kvert/index_eng.php. VONA/KVERT Information Release, January 03, 2019. 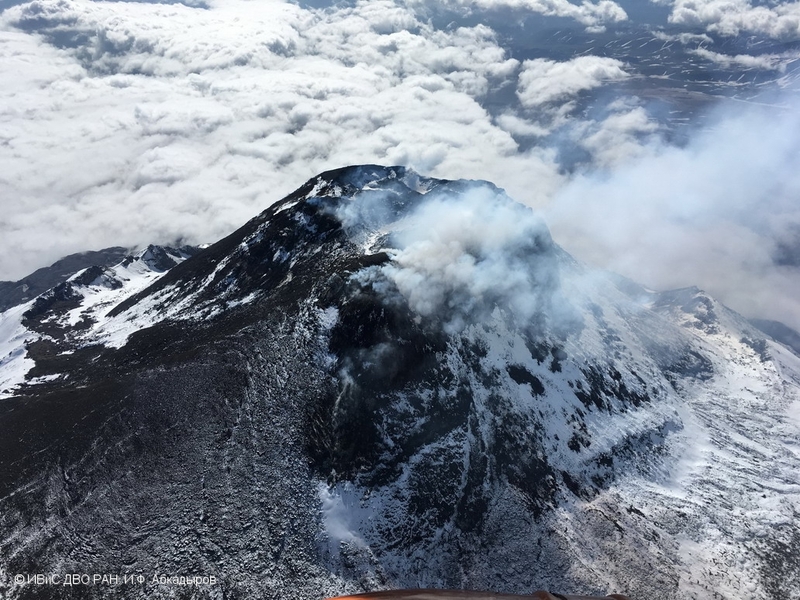 KVERT, Institute of Volcanology and Seismology FEB RAS. URL: http://www.kscnet.ru/ivs/kvert/van/?n=2019-05. Spreading of ash plume from Bezymianny volcano. 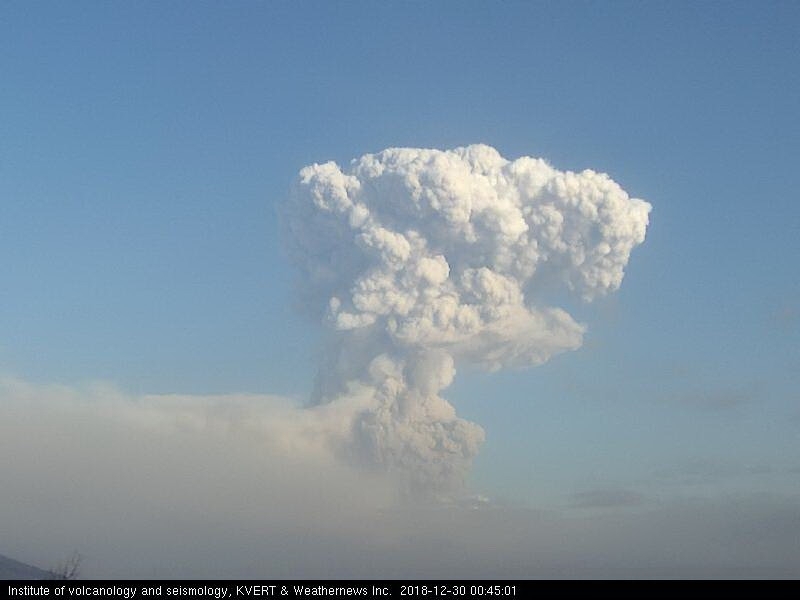 Explosive eruption began at 03:40 UTC on 20 December, 2017. Data from VolSatView information system. Any use of the image may be carried out only with the permission of the copyright holder.